An Open Letter to Andrew Steeves, publisher of Johanna Skibsrud’s The Sentimentalists, Gaspereau Press. Congratulations to you, Gaspereau Press and Johanna Skibsbrud for the deserving win at the Giller Prize ceremonies last night in glorious downtown Toronto. Few of us can imagine what you must be feeling right now. Some mixture of dread and elation, perhaps. I honestly hope that it’s neither because you didn’t just win Canada’s ‘most prestigious literary prize’ last night – while simultaneously throwing the entire book distribution chain into apoplexy – you actually won and shared the win with some very deserving books and writers. No matter how insistent the cries become from the manifold voices in the book publishing ether to ‘get these books onto the display tables of big box bookstores from coast to coast (and maybe a few of the remaining independents while you’re at it) regardless of what it does to the quality of the book object’ – please ignore them. While the voices of those imbued with the patience enough to wait, and a sufficient list of books to read in the meantime, may not be quite as loud as some of the others, we are here. Go back to work today like any other day and embrace the process that you have built for your books and your writers. Gaspereau Press has a reputation for creating beautifully designed and crafted books full of great writing. The Giller Prize does not change that. The craft that your shop brings to bookstores, reader’s bookshelves and to the legacy of reading in Canada cannot be replicated. The readers will be here when the books are ready. I will be very excited to open the package from Gaspereau that contains my copy of the Sentimentalists. Whenever that is. In fact, I think that we can look at this as a victory for all the books in this year’s Giller Prize list because now we can enjoy all the books that made the short list as we await the arrival of their own handmade copy of the winner. Crafted by none other than Gaspereau Press. That actually sounds like a win for everybody involved. So take your time with the reprints, but not too much time. Get them to us when they’re ready. Until then we’ve got a few other books to read. If the joy of literature lies in the new ideas it offers readers, the interactive, curatorial nature of the web makes it a perfect place for books to flourish. For all of the BookMadam readers who don’t get the free Vancouver weekly arts magazine, the Georgia Straight, here’s an update on what’s happening out here in Lotusland books-wise. The ongoing death spiral is being beaten back. Books, readers, publishers and writers are finding new veins of opportunity and enthusiasm in our city. From the arrival of Amazon and Chindigo in the mid-90’s to mass closing of local independent bookstores in the past 10 years to the closure of Raincoast’s publishing arm just after the boy prince finished with his magic in 2008 to the last Duthie store and Sophia Books shuttering earlier this year, it’s been about 15 years of bad news. But no longer… there’s new optimism in Vancouver as a result of hard work, persistence and… what’s this?… building online communities via social media and activating them with gatherings and events IRL! The article is written by Jackie Wong. I met Jackie during the W2 Real Vancouver Writers’ Series that was curated during the Winter Olympics this year and we met again during the Joyland Vancouver Summit later in the spring. Both times she was excited by the great crowds attending both events and the enthusiasm with which the audience supported the writers. 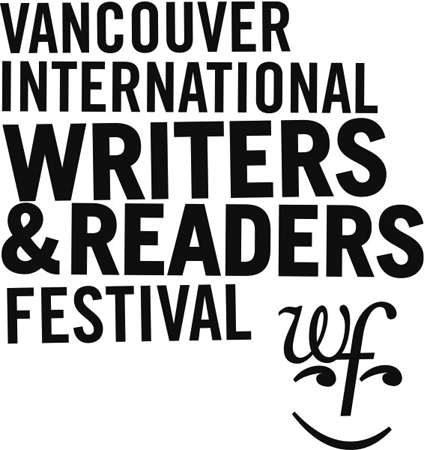 It was something new to her in her experience of literary events in Vancouver. This piece is very satisfying on many levels and I hope that people will continue to see Vancouver as a place that produces and supports some of the best creative literary talents in the world. To read the whole piece go here: Vancouver Book Scene Reshaped by Online Communities.